Great addition to any little boys room. 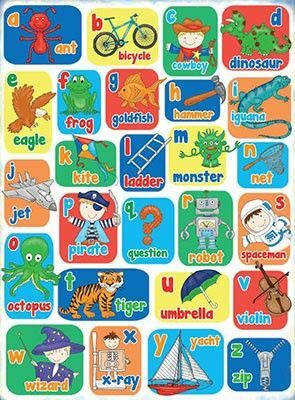 The 26 letters of the alphabet with pictures. Metal sign with holes drilled for easy hanging.